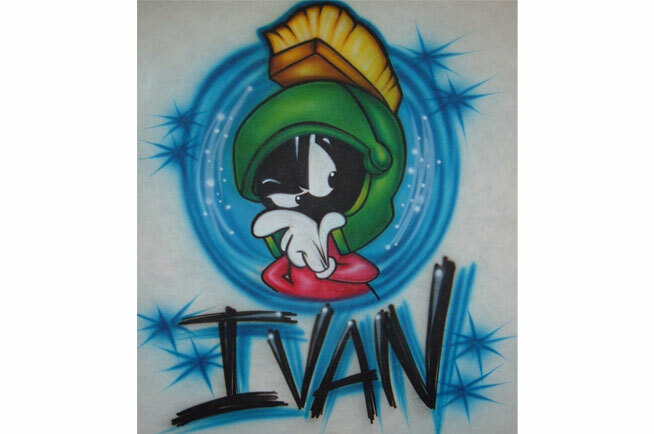 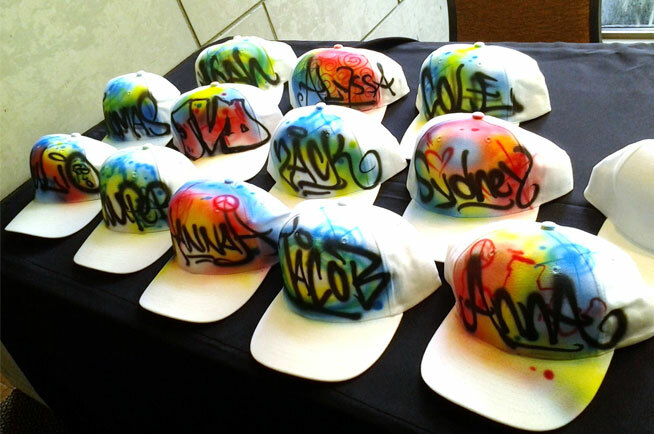 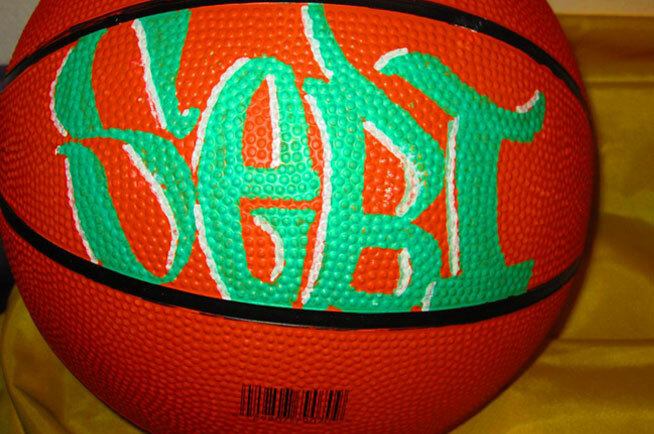 One of the hottest commodities at events, airbrush art can be customizable to suit each guest. 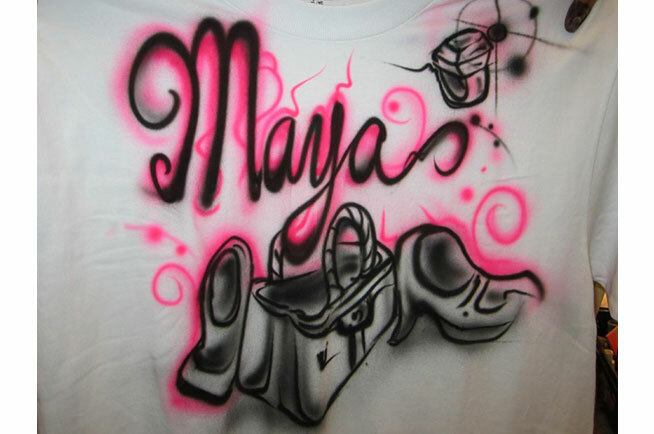 We can airbrush almost anything! 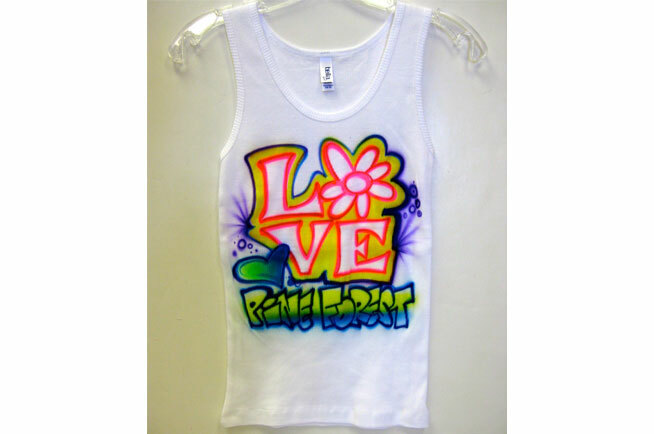 We provide custom personalized airbrushing on almost anything! 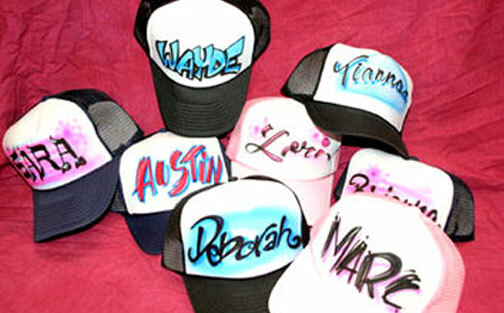 Our products range but are not limited to trucker hats, visors, t-shirts, sweatshirts, sweatpants, bags, and even sneakers! 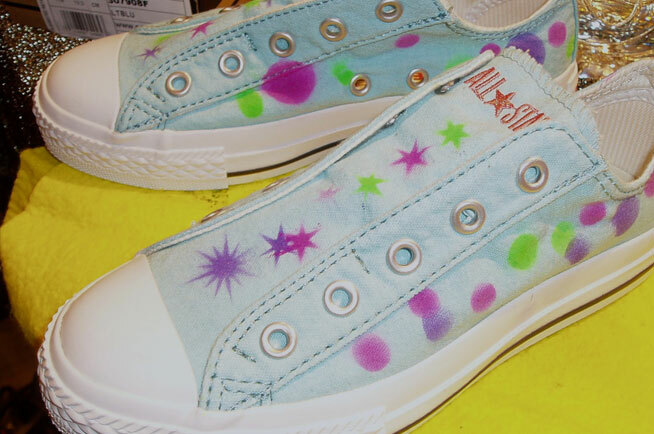 Step on up and choose from our many different fonts, colors, and add-ons that you want. 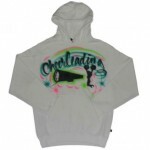 Every item is made specifically how you would like it. 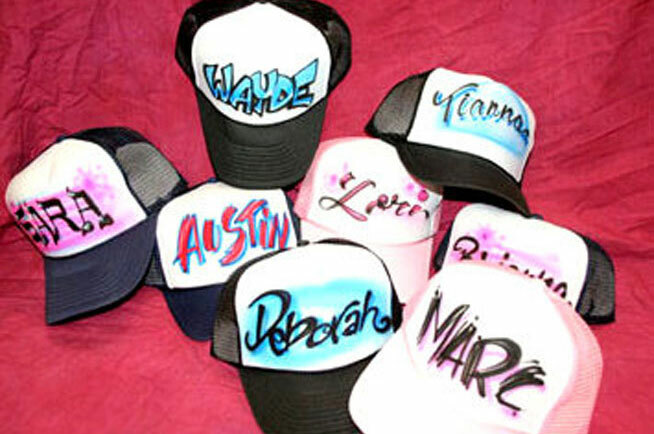 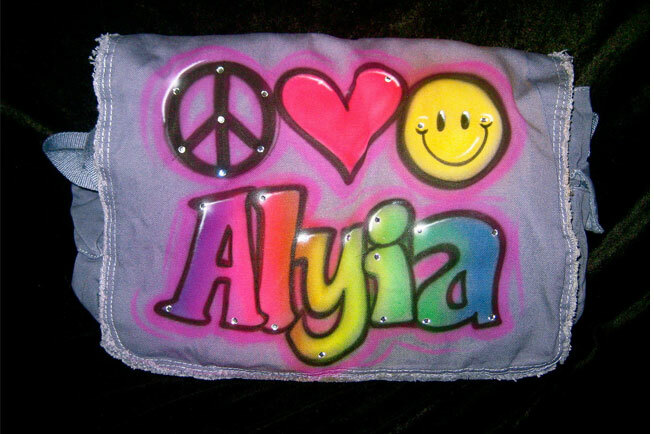 Airbrush items are a great keepsake for all ages and can remind you of those great memories!